Nowadays many homeowners choose to own a modern house. 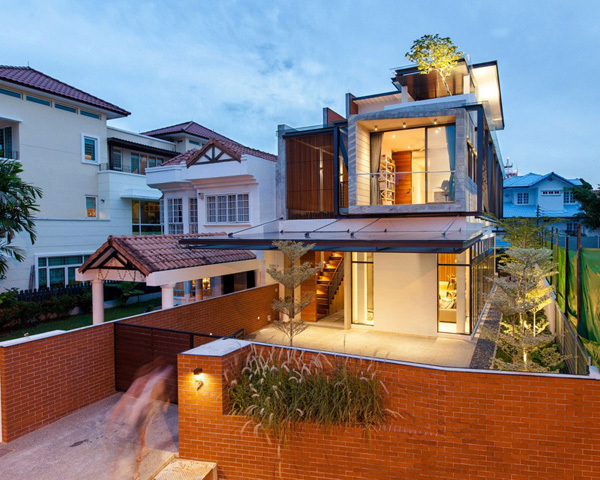 Modern house that shows uniqueness and challenging spaces. 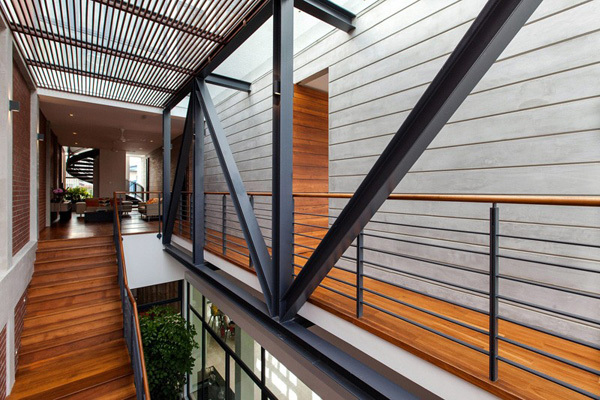 And the different forms display in every parts of the house building also adds attraction to the client. Today we will see how the designer plays the idea of mix and match materials and the furniture in the house. 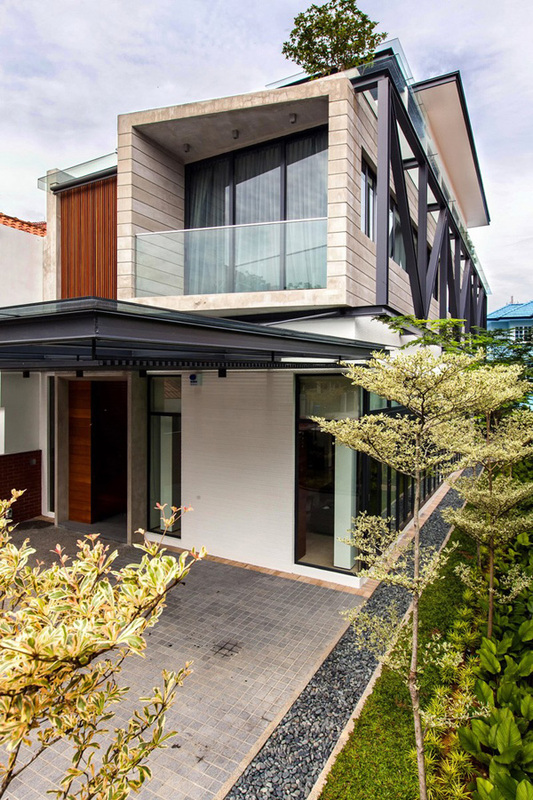 This is a semi-detached home seated in Singapore and named as the Railway House. 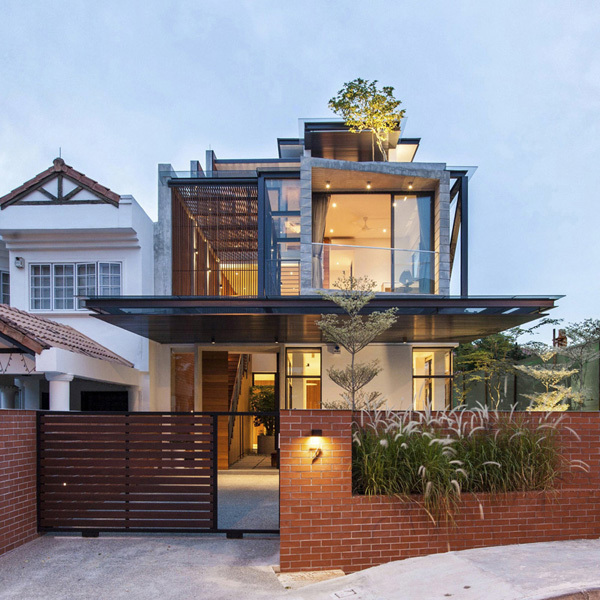 The designer said that as a typology, the semi-detached house is often perceived as a Siamese twin which is reluctantly conjoined to its symmetrical other via a single party wall. Railway House is actually single-family house designed by separating and pulling the main block away from the party wall, this semi-detached house breaks free. 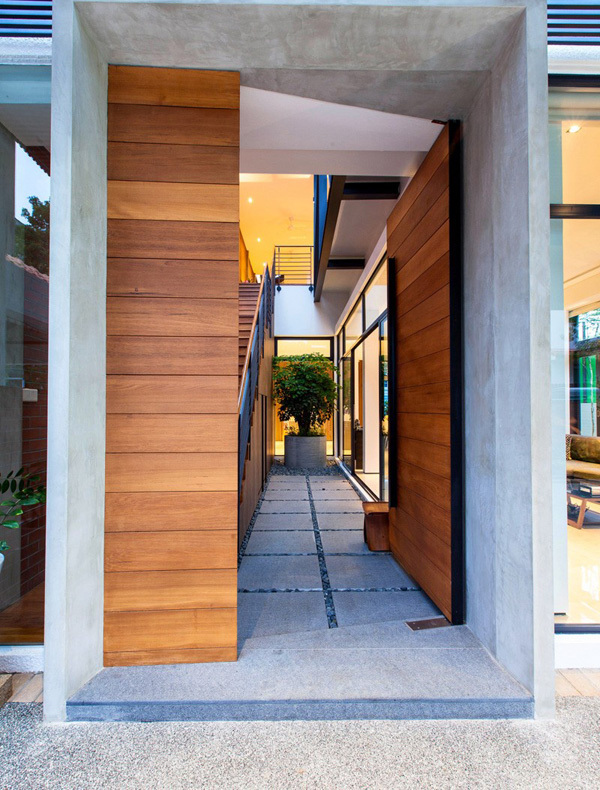 Well according to the designer, when the homeowner enters the house through the front of this fissure, he will automatically see the double-storey volume foyer naturally lit from above. 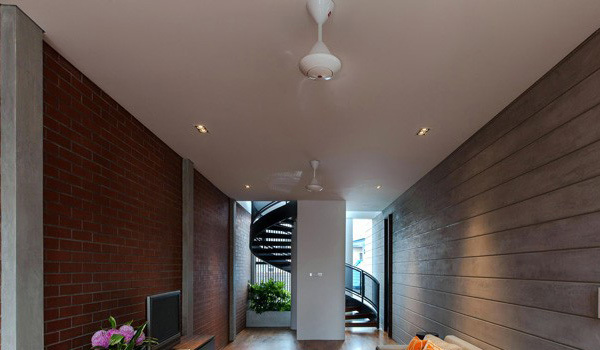 Sustainable light is best achieved in every part of the house. 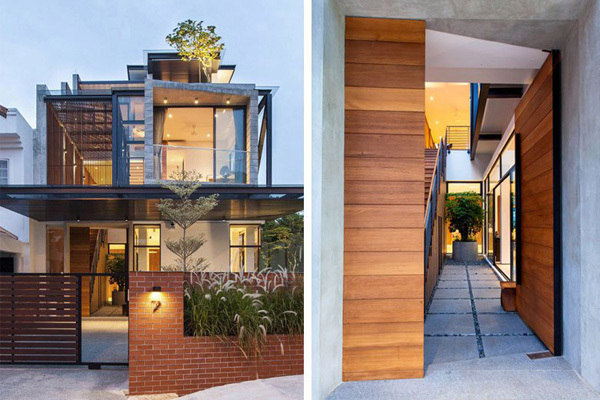 Now let us see how the designer creatively built this incredible Railway House through the images below. See the unique designs of the different levels of the house as it shows from the front area of the house. 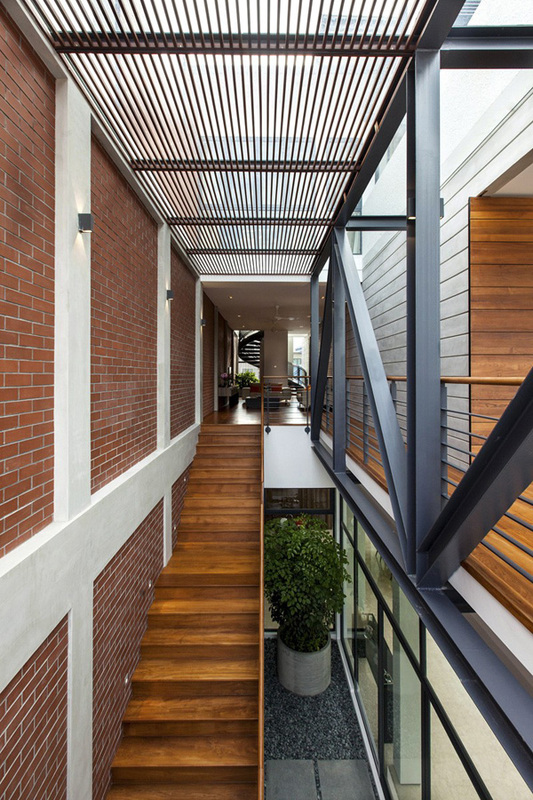 Notice how the designer perfectly presented the lines and patterns in every part of the house. 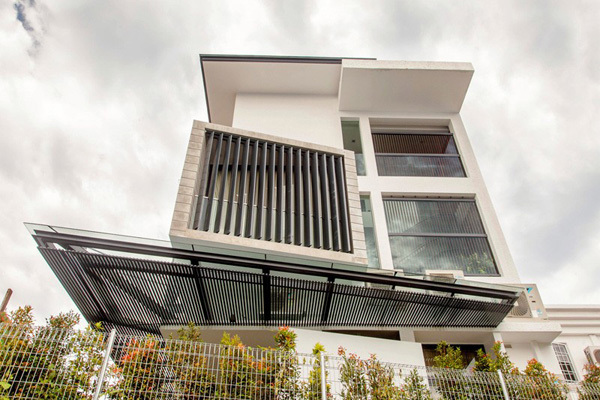 Forms and figures are highlighted in this three-storey house that remarkably speaks of elegance and modern design. 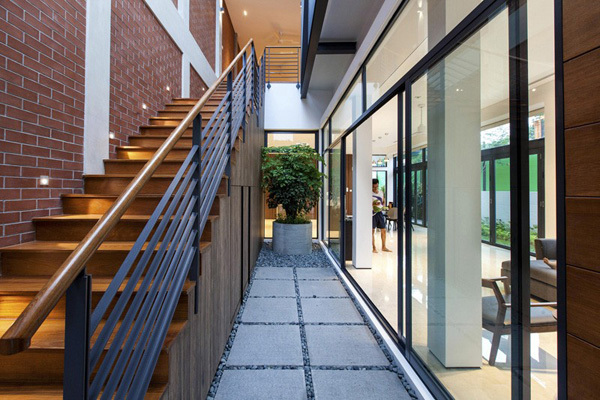 The designer also ensures the well-groomed landscape and plants in the garden that enhances the look of the exterior. From this open door, the designer presented the different textures and shapes that shows comfort and charm. Even in the living space, the designer was able to secure the modern furniture that shows sophistication. While in the dining space, the smoothness of this table complements with the cabinets and table in the kitchen. 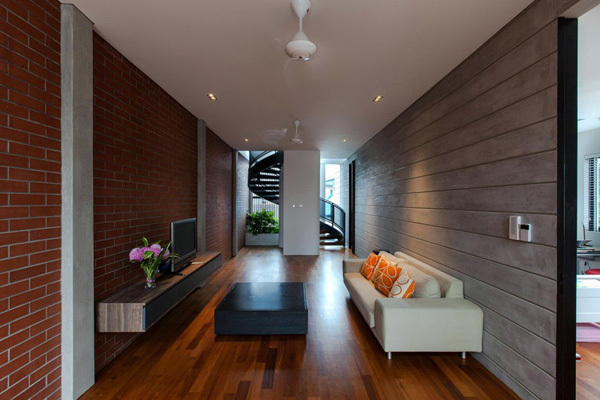 From the living space, the homeowner may see the modern staircase that also adds stylishness in the interior. Here’s the huge and long staircase that will bring the client to the different levels of the house. 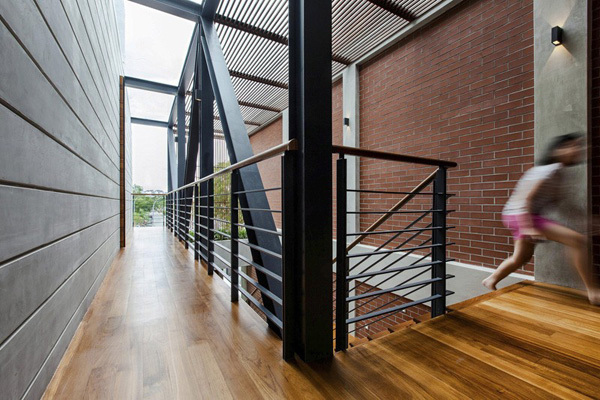 See how these lines and shapes from the staircase to the walls and ceilings of the house emphasize its exceptional style. 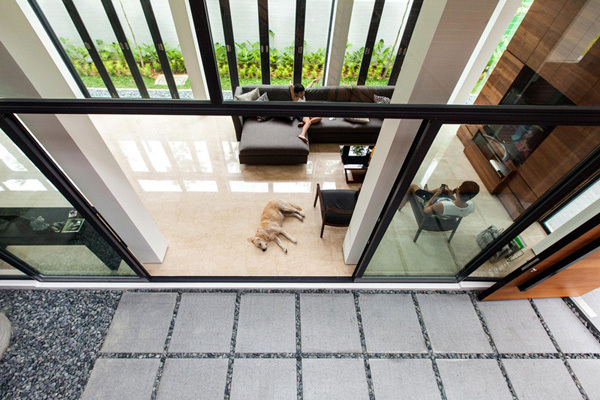 At the second level of the house, the designer may still experience the parallel lines and shapes in the walls and floors. Natural ventilation and light may certainly achieved in this level of the house where consumption of energy is possible, too. 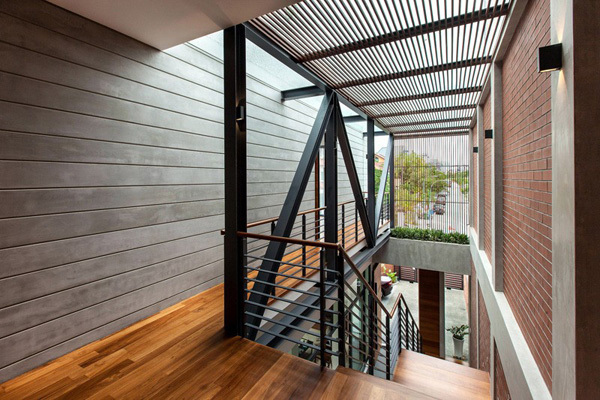 From the upper level of the house, the homeowner may view the smoothness and neatness of the interiors. At night, the lighting system in the interiors and exterior features the exquisiteness and luxurious style of the house. As we can see the different zones through the images presented above, we can see how essential the fissure as it serves as the gathering realm for the family of the homeowner. As we can take a closer look at its creative design, we can see the importance of this funnel-like, naturally-ventilated space, wind passes through the freely front area to the back spaces where these both ends at which pockets of green have been inserted. The deep overhands and operable blinds protect the interiors where it is best needed. 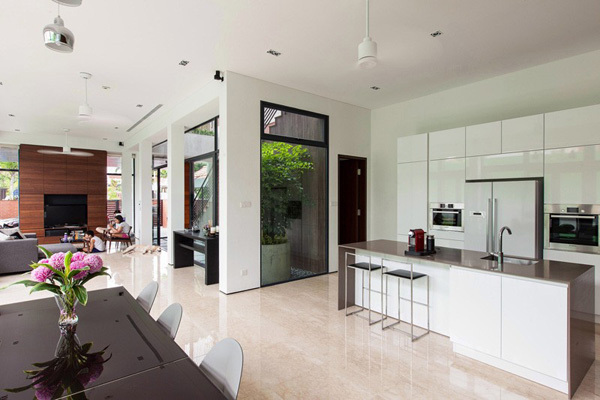 We hope that you have learned new ideas from the Aamer Architects that you may use in your own house in the future.